When I was a teenager, I left home with nothing more than a high school education, street smarts, and a desire to work hard and make a life for myself. I ended up thousands of miles from home, working in fast food, and barely making enough money to survive. I had no insurance, but I knew where I could go for women's healthcare even though I was broke — Planned Parenthood. Underprivileged women all over the country know they can count on Planned Parenthood for healthcare, just as hungry families know where the nearest food pantry is located, and homeless people know the safest places to spend the day. You have to know it, because if you don't, you may not survive. Despite the fact that Planned Parenthood is often used in the news as a euphemism for "abortion clinic," abortion procedures make up only three percent of Planned Parenthood's healthcare services. Nevertheless, Since Roe v. Wade in 1973, Planned Parenthood has been the target of pickets, bombings, arson, and acid attacks. Since the 1990s, the violence has increased, culminating in a recent mass shooting at a clinic in Colorado Springs. I never went to Planned Parenthood to terminate a pregnancy. That's a decision that I never had to make — a fact not due to abstinence, but rather, due to Planned Parenthood's family planning advice and services. I believe it's important to remember that Planned Parenthood services millions of women in the United States — saving lives with important screenings and assisting women and families in preventing unwanted pregnancies, among other things. 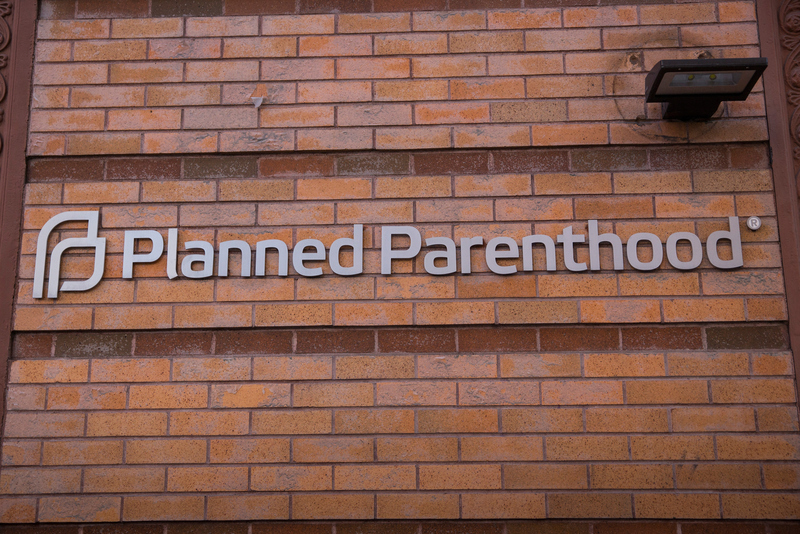 It's estimated that one in every five women has visited a Planned Parenthood health center. Women like me. I may have skipped dental care and medical checkups, but twice a year, a trained professional took my vital signs, tested me for malignancies, and showed an interest in my well-being — despite my lack of funds. I never went to Planned Parenthood to terminate a pregnancy. That's a decision that I never had to make — a fact not due to abstinence, but rather, due to Planned Parenthood's family planning advice and services. Ted Cruz's advice notwithstanding, I have never been content to trust important matters of family planning to the efficacy and availability of public restroom condoms. I struggled along in this manner for several years before seeking a change of circumstance in sunny California. Despite my change in location, though, my sole health provider was still Planned Parenthood. Shortly after arriving in California, I soon learned that (at that time) the state provided a free community college education to it's residents. This opportunity was exactly what I needed to escape my cycle of poverty. To stop constantly being just one flat tire away from disaster. I waited the prescribed year, then I enrolled in community college. I worked during the day and went to school at night. On my days off, I worked for free, earning college credit and white-collar work experience. Eventually, I found a job in my chosen field. A couple of years later, I finally found a job that offered health insurance. I no longer needed Planned Parenthood. After five long years of working one or two jobs while attending school at night, I graduated with an associate's degree, courtesy of the great state of California. Money was still tight, so I didn't pursue further education right away. I worked next door to a non-profit organization that served at-risk teens. I began saving my spare coins in a jar. Twice a year, I would anonymously leave a full jar at a doorstep on my way to work. I had been the recipient of assistance when I needed it, and I felt that I was finally doing well enough to start giving back. Several years later, I moved to New Jersey and married a wonderful man — a union worker with a good job and health insurance. We had three children. I continued working, though it was part time now. In my spare time, I joined a church, taught Sunday school, and served on the local school board. After the births of my first two children, I collected disability insurance for the allowable eight weeks. The disability insurance was only a fraction of my usual income, and it didn't begin arriving until I was ready to return to work. Fortunately, I was able to count on my husband to provide for me and our children during that time, but a single mom in my situation would have gone hungry. As our children grew, we taught them to be good citizens. We participated in Beach Sweeps and dune grass planting events. We worked at the food pantry. My girls joined Girl Scouts and I volunteered to help out with that as well. I took their troops camping, rafting, and to charitable events. When all of the kids were in school, I returned to school as well — thanks in part to the financial assistance and support of my husband. I earned my bachelor's degree and went on to earn my master’s degree, too. After that, I began a new, higher-paying career. My husband and I donated money to the local police department, fire department, and first aid squad. We continued to volunteer at church — donating both time and money. I took advantage of workplace giving opportunities, authorizing charitable funds to be deducted from my paychecks. I began answering the fundraising pleas of my alma mater, and I donated to my favorite environmental charities. The point is, despite what many conservatives might tell you, I'm not a bad person because I went to Planned Parenthood. I'm not “pond scum” or a “bottom feeder” because I accepted government largesse in times of need, either. We all need a little help sometimes, and Planned Parenthood was there to help me when I needed it most. I hesitated to write this — fearing the negative attention it might receive, but in the end, I feel that stories like mine are more common than we know, and if someone does not tell them, the truths we read and hear are not really truths at all — but merely slices of a story that is unrepresentative of the whole. Planned Parenthood employees, doctors, and patients are under increasingly vitriolic verbal and sometimes physical attack because of the sustained campaign to make the name Planned Parenthood synonymous with abortion. Millions of women visit Planned Parenthood locations each year, and many of them are probably women like me. Women who visit Planned Parenthood aren't uncommon. I could be your neighbor, your mother, your daughter.